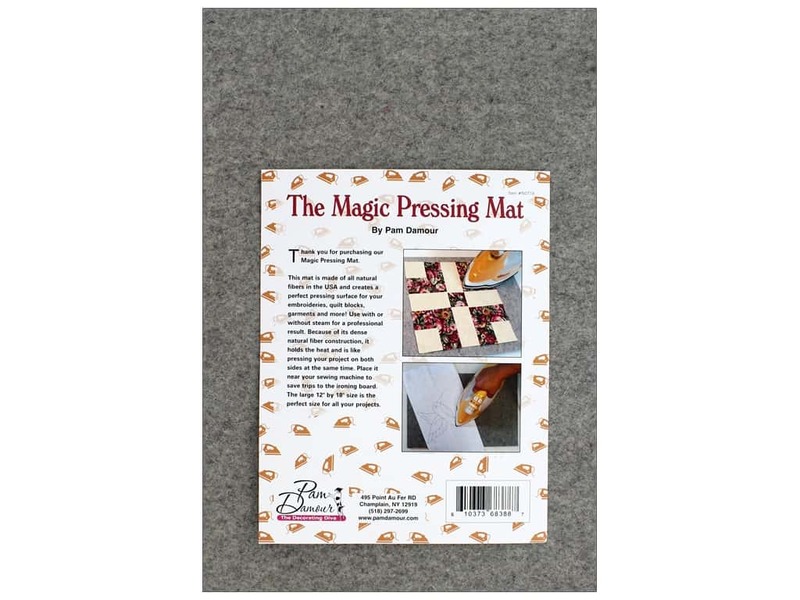 Pam Damour Notions Magic Wool Pressing Mat 12 in. x 18 in. Description: Pam Damour Notions Magic Pressing Mat 12 in. x 18 in. - The perfect pressing surface. Dense wool fibers trap the heat to press both sides at once. Use with or without steam for professional results. Made of all natural fibers in the USA. Approximately .5 in. thick. See more Pam Damour Notions.